Orders being taken until 31st October! 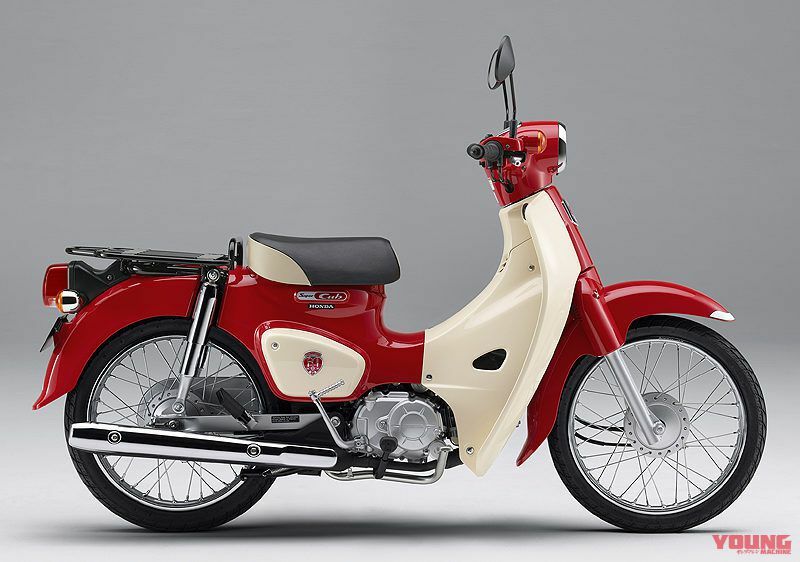 As we reach today the 60th Birthday of the Honda Super Cub that was introduced in August 1958, a commemorative “60th anniversary” bike has been formally announced. Orders are being received for the limited edition bike up until 31st October, with the 50cc selling for approx $2210 and the 110cc going for approx $2600 (including tax). 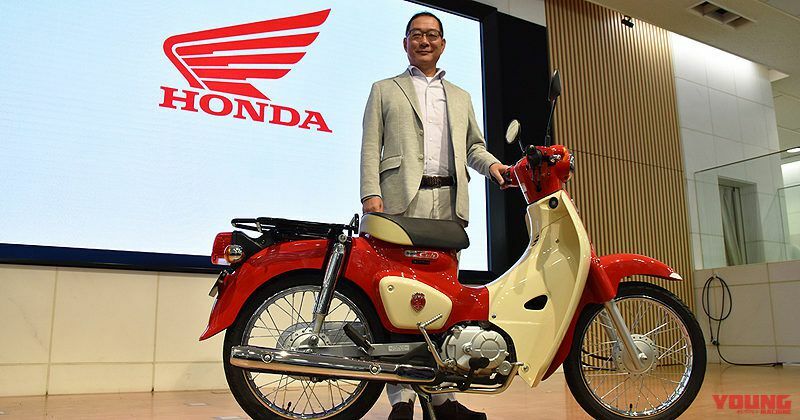 The details of the “60th anniversary” bike (photographed together with president of Honda Motorcycles Japan, Chiaki Kato) are the same as what we had already introduced before on the website, a magna red body colour combined with a beige leg shield and side covers based on the motif of the 1963 “CA 100” American export spec. It has additions such as a 60th anniversary commemorative emblem, piping added to the seat, a black-painted carrier rack, and an exclusive key. 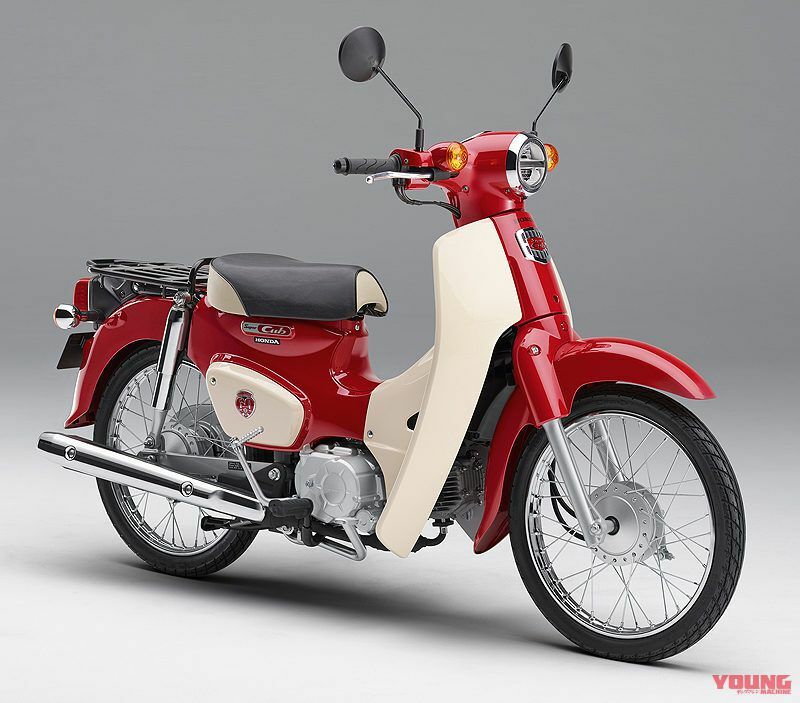 In contrast with the price of a standard Super Cub, the 50 is around $100 extra and the 110 is $190 more, but the actual price before tax is kept down to $90, so you could say that it’s a real bargain considering how it comes with features such as a special paint scheme and equipment. Date of release is 22nd November, but the time period for orders is limited so it’s essential to make an application to a dealer in order to purchase. It is planned that 2300 machines will be sold. The bike was announced at the opening event of the “Super Cub and wonderful friends” special exhibition, which began from today on the first floor welcome plaza at its main branch in Aoyama, Tokyo. 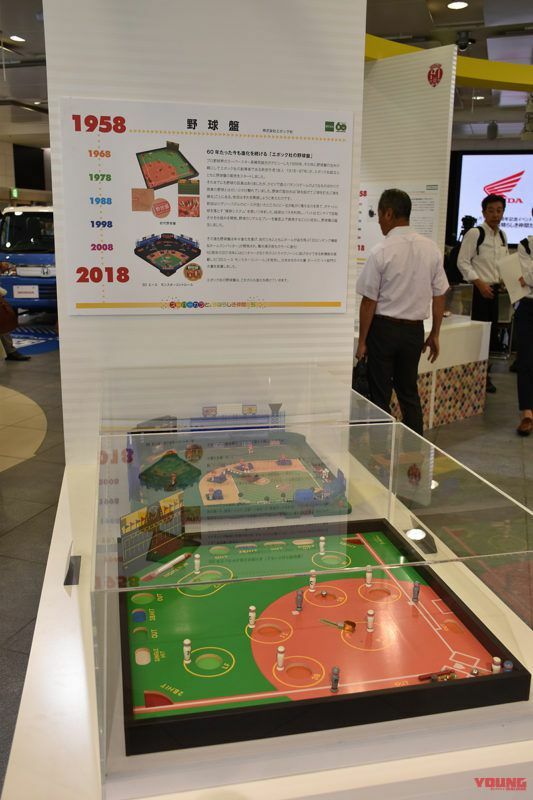 This event celebrates the 60th anniversary of the Super Cub, along with an exhibition of many other things that have reached 60 years such as the “Tokyo tower”, “Chicken Ramen” and the “Subaru 360”. There is a total of 17 products that represent what supported Japan in its period of rapid economic growth, under the theme of “Manufacturing marvels from the Showa period”. The event is free to enter, and runs until 24th August (excluding days of Obon festival within the time period of 11th-24th August). 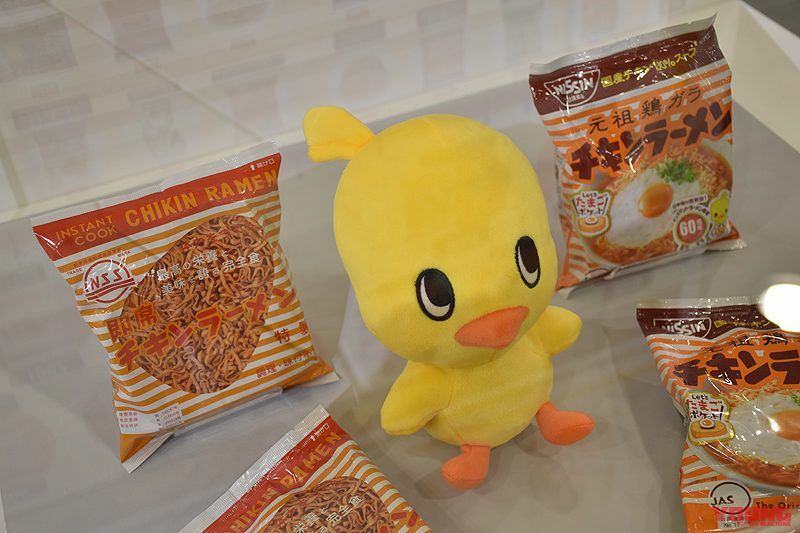 The well-known “Nisshin Chicken ramen” went on sale on 25th August 1958. 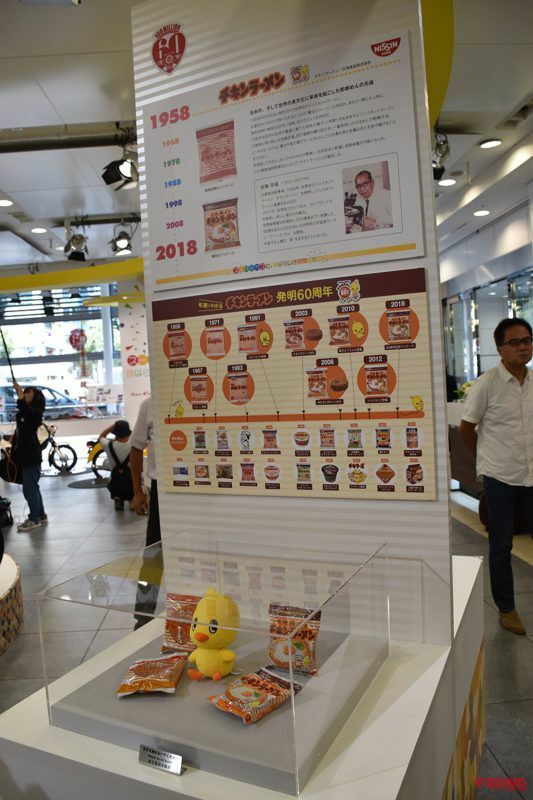 There are explanations exhibited alongside it about how the founder, Momofuku Ando, created and introduced instant noodles to the world for the first time. The packets on the left are from the time of first release (reproduction), and the packets on the right are present day products. 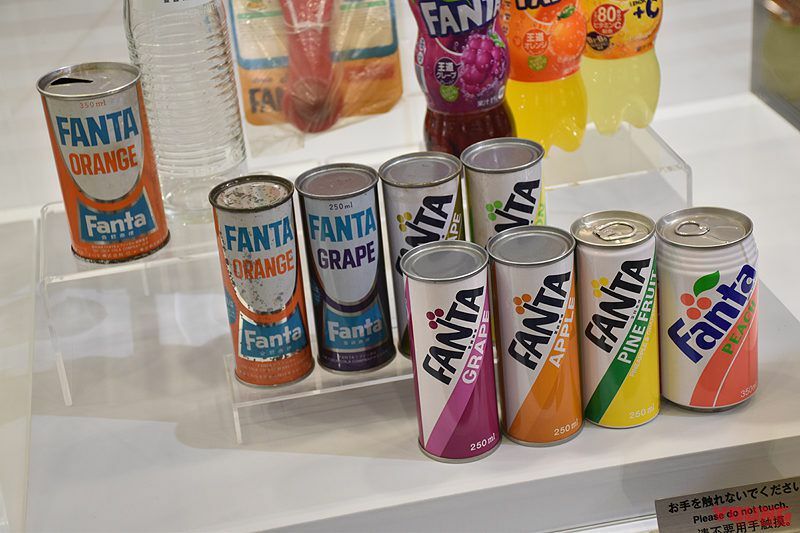 Here are some “Fanta” Coca-Cola products, derived from the words “fantasy” and “fantastic”. These first went on sale in Japan in 1958, and apparently there are more than 100 varieties of flavour in existence. Epoch company’s “Baseball board” was released in 1958. Apparently this is the same year as the pro Baseball player, Mr Giant – Shigeo Nagashima made his debut. Aftermarket parts maker for two-wheeled machines, “Kijima” was also established in 1958. 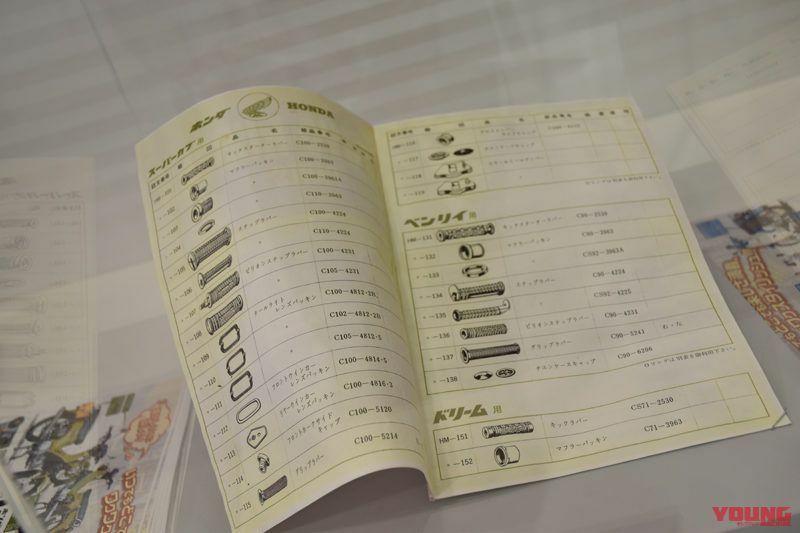 In addition to parts that were made by the same company for the Super Cub, there is also a Cub and Benly catalogue from the time on display. It is also nearing 60 years since we (Naigai Publishing Company) who publish Young Machine have been established. Because of this we were allowed to participate with the company’s first issue “Private Automobile monthly publication”, so we were unbelievably happy to show up at the “Super Cub and wonderful friends” exhibition. 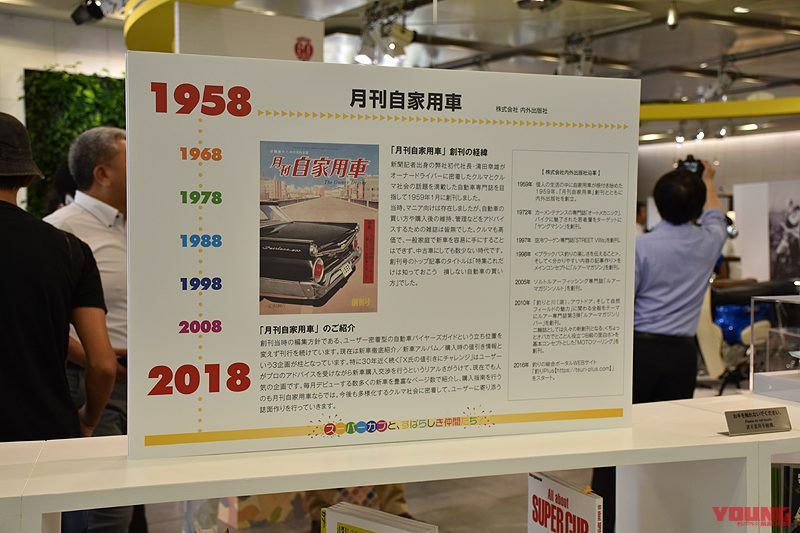 Here is the first issue of the car magazine “Private Automobile monthly publication” produced by founder of the company, former newspaper reporter Yukio Kiyota. The magazine “specialised in such things as how to buy a car and maintain it afterwards”.